It was a Friday night on November 10, 2006, when the frenzy of the day had wound down and the quiet calm of Shabbos had begun that all was not well inside Perl’s Meats. An industrial oven was overheated and the wooden interior wall had caught fire. Within minutes, smoke began to pour out of the building. The first person to notice that a catastrophe was imminent was the owner of the Haymishe Bakery, located two stores away. 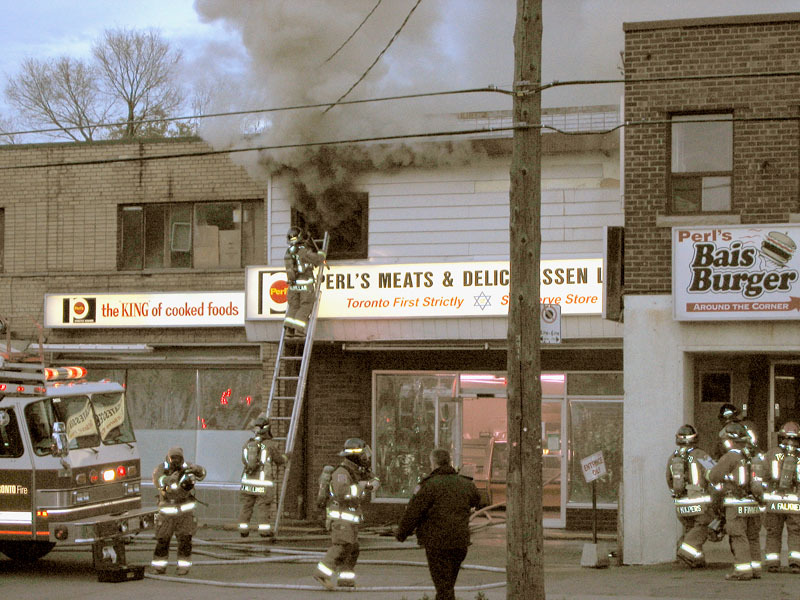 She called the fire department, but by the time the firefighters arrived, a four-alarm fire had engulfed Perl’s Meats, gutting the building. It took the fire department four hours to bring the fire under control. 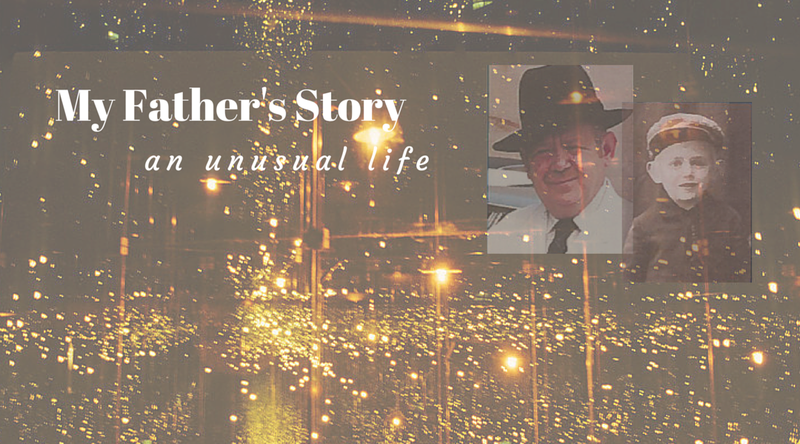 Because it was the Shabbos and my father was not answering his phone, it was only hours later that he found out, I presume when someone came knocking on his door. He only viewed the hollowed out remains of the store the next morning. To get inside the cordoned off building, he showed his Ontario Health Insurance card to fire officials as identification. Customers walked by expressing shock at the broken glass and debris that littered the parking lot. What more can be said than that? It was indeed his lifetime’s work. While his survivor spirit never failed, things would never be quite the same afterward.